Can Claimming Your Social Security Benefits Too Early Hurt You Or Help You? ​Almost four in 10 Americans believe that if they claim Social Security benefits early before full retirement age, the reduced benefit they receive because of claiming early will increase automatically once they reach that age, according to a Fidelity survey. In reality, this isn't the case. ​Benefits could be reduced by as much as 30% if you claim Social Security benefits at age 62 when your full retirement age is 67, and this reduction in benefits is a permanent one -- unless you take action soon enough. Whether you claimed early because you didn't understand how the reduction in benefits would work or you simply changed your mind, you do have a few options if you aren't happy with the decision you made. Withdraw the benefits claim if it's been 12 months or fewer: If you first became entitled to benefits fewer than 12 months prior, you can withdraw your claim for benefits by submitting a written request. When you do this, it will be as if you never claimed benefits at all. The downside is, you'll have to pay back all the benefits you received to date -- which means this isn't financially feasible for many. Reducing the benefits you're receiving by earning work credits if you've not yet reached full retirement age: If you haven't yet reached your full retirement age and you work while receiving Social Security, your benefits will be reduced by $1 for every $2 earned above $17,040 per year. You'll get credit later for this reduction, which means you'll get back some of the benefits that you lost by claiming Social Security early. Suspending your benefits if you're past your full retirement age: You can voluntarily choose to suspend your benefits if you decide you aren't happy you claimed early. If you suspend your benefits, you earn delayed work credits so benefits will be higher when you claim again in the future. This is an option only if you've already reached your full retirement age but you aren't yet 70 years old. If you have filed for benefits after April 30, 2016 and you decide you want to suspend your benefits, it's important to note that anyone claiming benefits on your work record will have their benefits suspended as well. Before April 30, 2016, it was possible for you to suspend benefits and allow your spouse to continue receiving benefits on your work record -- but this is no longer the case. Deciding when to claim Social Security benefitsIf you made a mistake when you claimed Social Security benefits, you're definitely not alone. Many people don't understand exactly how the Social Security benefits system works, and the different claiming strategies can be confusing. 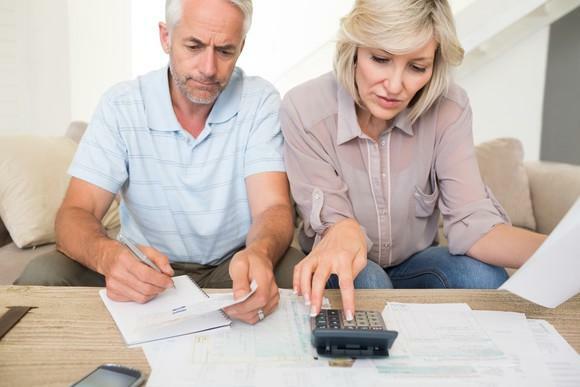 When deciding when to start receiving Social Security, make sure you know your full retirement age, as well as a few other key facts about how Social Security benefits are calculated. And, consider how long it would take to break even if you claim benefits early versus if you delay. The Social Security benefits chart in this article shows how benefits will be impacted based on when you claim and how long it will take you to break even if you delay. With the right information, you can decide exactly what makes sense for your situation -- and you now know how to undo a claim made too early if you made the wrong choice.